A fun website that shows the tools used, that also sells rod kits (but not low cost kits). Probably the value in the website is showing the materials and tools used, and figuring out a substitutes if you’re the type interested in giving it a try yourself. It’s not rocket science to use an old joke, people made their own rods for many years. We probably expect more from the rods we use than they did. But with careful work a decent performing rod made by yourself is doable. It might not be your favorite performer, but maybe a favorite because it was DIY. ⑭矯め木 This is the wood tool used to straighten heated bamboo. Google 矯め木 to find examples and videos. ⑮指袋 ?? seems to be a finger sleeve, for protection, google 指袋 とは to find pictures of this item. Home page - Ginza Touzaku Hamamatsucho Co., Ltd. [ 銀座東作 浜松町] That has other fun stuff. 七尺 = 7 ft. ? I’ve been playing around with this topic a little bit. The more I look the more confusing it becomes. The thread topic is titled - Wazao and Bamboo Tenkara rods. Are there misconceptions, at least to people outside of Japan, about what is or is not a wazao? Are all bamboo tenkara rods also classified as wazao? Or just bamboo rods using certain species of bamboo? Are wazao classified by a combination of the materials used the make the rod, and the type of fishing it is used for? Or areas where they were traditionally made and used? Or is a bamboo tenkara rod just a certain type of bamboo rod, but not a wazao? What defines a Wazao [和竿] ? Is the defining or key feature any bamboo rod made from round bamboo (丸・竹)? That is not made of split and glued bamboo in the western style. Are all tenkara rods made of round bamboo considered to be wazao rods? Or are there other features that would limit what type of bamboo rod is considered to be wazao ? Such as the type of finish or thread wrapping applied to the pole? For example I often I find hera rods [ヘラ竿] or tanago rods [タナゴ竿] called wazao, but in other places they only seem to be called bamboo poles. But not wazao poles. Tenkara, hera, tanago poles did not make Wikipedia’s list. But I’ve seen many magazines where bamboo tenkara poles where also called wazao. Anyway, I think if a topic is to be discussed it is helpful to know accurate definitions of the terms. @dwalker perhaps @Paul_Gaskell can elaborate…but my suspicion - I’m no expert here - is that Wazao is indeed a craft particular to the Edo region (around Tokyo) in Japan. 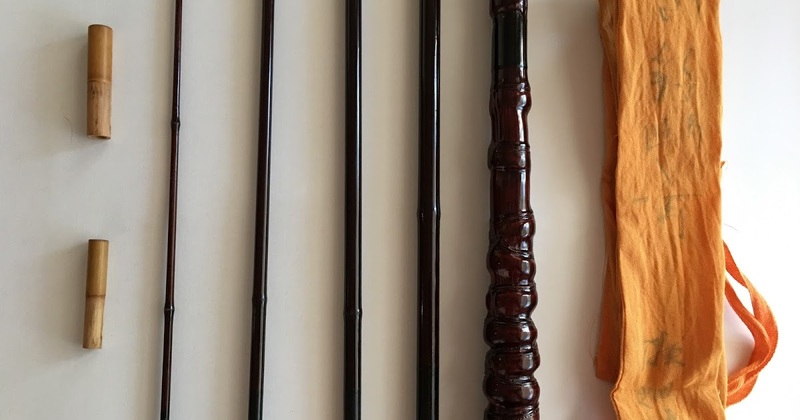 It is a craft associated with making fishing poles from bamboo and finishing with Urushi. I feel that poles for Tenkara from Edo Wazao craftsman is completely new and that because of the connection with Go-san and Yamano-san building Edo Wazao rods for Tenkara is a new thing. Again not 100% sure but I think Edo Wazao crafted rods were primarily for other types of fishing and Yamano-san through his friendship with Go and Sebata-san has learned quite a lot about Tenkara and has begun to craft rods with his techniques for Tenkara. The crafting of bamboo rods for fishing in the mountains of Japan for trout and char probably is spread out over many “styles” and “techniques”. I set this “topic” up to cover all of them but if we get deep into some more info we probably should divide…it looks like Gujo rods are another branch of the bamboo rod crafts? Probably no reason to divide the topic, maybe only make a distinction. Below is a link to a rod shop that has been in business making rods since 1788. How is that for tradition? 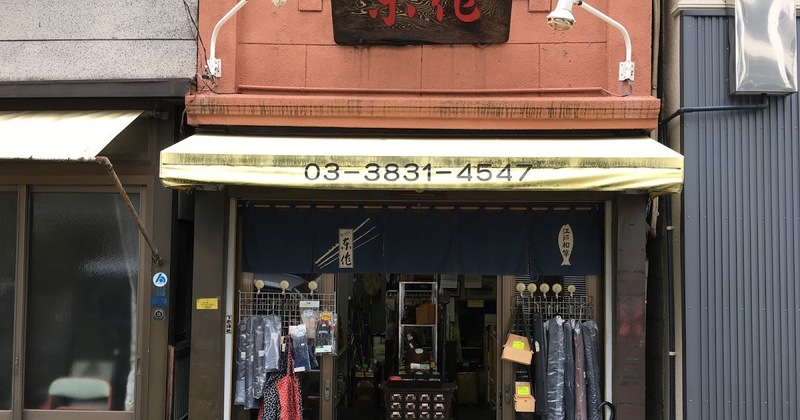 Since its founding 230 years ago, Inari-cho Tosaku head office (or Ibaraki Town Tokyo Main Store) - we have come a long way with the history and tradition of wazao Japanese fishing tackle. 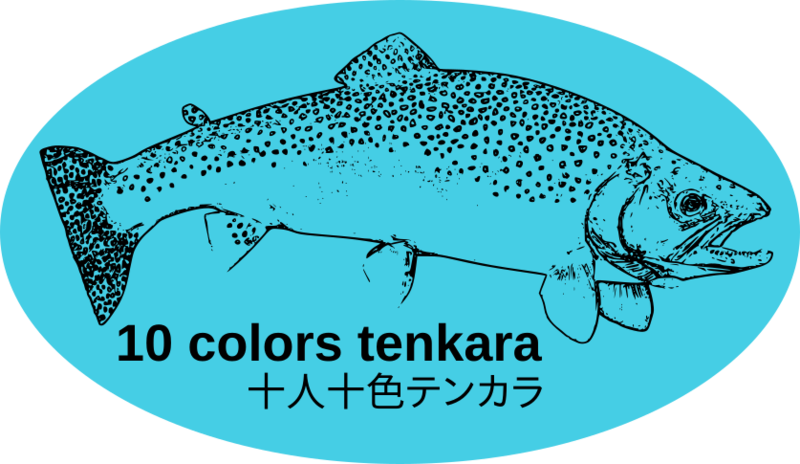 テンカラ竿 tenkara [however, click on the tenkara link, and the response- There are no corresponding items. 半製品 unfinished goods which includes リール・フグ竿 reel fugu pole. Clearly a wide variety of rods under the wazao classification at this shop. Perhaps a little difficult to separate traditional names from modern marketing schemes. Wherein he writes his is producing and selling mainly tenkara poles wazao kebari fishing poles. Seems to be located in Shizuoka Prefecture, 静岡県. The website is setup with embedded translation. He prefers to use tenkara written in hiragana, てんから. I do not know what is meant by 「竿優」sao yū. Besides sao yū - google will also translate it as rosary, actor, entertainer, performer. My guess it perhaps it means a performance, entertaining or pleasing rod. Or maybe not. In addition to tenkara rods, there are also blog post of tanago, and ayu rods among other things. I also find it interesting that I have found several other websites where they write テンカラ竿（毛バリ竿）, or similar statement as on the Iwanasan blog, てんから和竿（毛ばり竿）, [essentially the same thing only written in a different font] equating tenkara pole as kebari pole. Perhaps and older way or more open way to think of poles used for kebari fishing, before the tenkara name become more popular or in wide spread use. Kind of remarkable how much the 川口和竿 [ Kawaguchi wasao] on Tenkara no Oni’s blog looks like some of Iwanasan’s craft-work. Perhaps it was, the Oni blog is linked to on the Iwanasan blog page. Shopkeeper · Masayuki Yamano-san · was approved as a traditional craftsman in 2009. (Wa zao)is the new word .the word didn’t exist before WW2. After WW2 some rods builder began to make a bamboo Hexagon rod to sell for American Soldiers as a souvenir with their skil .They called those (Japanese Rods 和 竿). I must say that definition for 和竿 (wazao): as a split bamboo hexagon cross section pole, like western style fly rod, is the last definition or description I expected ! However, over long periods of time many words come to mean something different from their original meaning when the word was created. Especially surprising with so many books, magazines, and websites showing 和竿 as rods made of whole, round sections of bamboo. Seeming to be 伝承 (denshō), traditional, handed down, design or old way method of making fishing poles. Plus words like 和式 (washiki) and 和風 (wafū) usually translated as “Japanese style”. 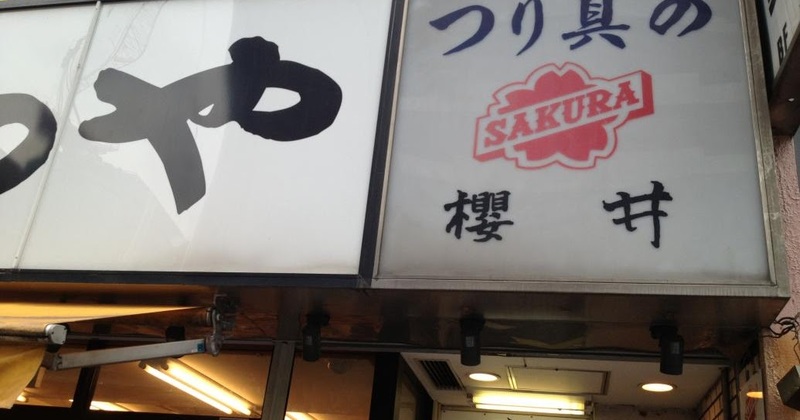 It almost seems like 和 (wa) can mean whatever you want it to mean. Could it be that while 和竿 originally referred to a bamboo hexagon rod, it no longer retains that meaning in modern usage? This is the kind of thing that keeps trying to understand a different language and culture interesting. Not boring, with always some new surprise. David San. My English explains was short and seemed make you confused. I will write again later.sorry. .They called those (Japanese Rods 和 竿). It’s wrong. They called round pole rods a Wazao to distinguish between hexagon rods and rods they ‘d been build . Maybe this is correct : 和竿 = any 丸竹釣竿 (round bamboo fishing pole). Which fits better with previous experience. Also I found a wiktionay page wherein they wrote under Etymology - that the kanji 和 replaced an older kanji 倭 that meant the country of Japan. But it was the only webpage I found that gave that explanation.
" From Middle Chinese 和 (hwa, “harmonious”). The “Japan” sense appears during the reign of Empress Genmei (707–715), as this character 和 was chosen as a homophone with a more favorable meaning to replace the previous character 倭 (wa) then in use as the kanji name for Japan (see the etymology at 大和 (Yamato) for more details). The “Japan” sense was usually read with a kun’yomi of yamato, until some time in the Muromachi period, when the kan’on reading of Wa became more common." Perhaps and older way or more open way to think of poles used for kebari fishing, before the tenkara name become more popular or in wide spread use. Or it could just keep you from looking like a fool unintentionally. [ saw an online story over the weekend of some anti-firearms protester carrying a sign that read, “what part of well regulated militia do they not understand?”, clearly this fool doesn’t understand what “well regulated” or “militia” means. Hint, well regulated means skillful, properly functioning. Think - well regulated clock] The habit of wanting things correctly understood or named has remained & seems important to me. Often there seemed to be a distinction made between two different bamboo rods in whether they were called a wazao or just a bamboo rod, while looking mostly the same to me. I just wanted to understand if there really is a difference. @mangetu Thank you for the website link. I am a western bamboo rod maker, I made a site long ago called grassart, a forum for bamboo rod craftsman to exchange ideas. When I found out about tenkara, at that time, I stopped making rods, I stopped utilizing the site and it died too. I fished with Yamano-san in The mountain stream near Tadami. I was using a highly engineered graphite tenkara rod of 25 sections. It was light and cast with precision, easily reproduced and sold with support to replace sections if broken. During my time with Yamano-san, I fished his rods, used his equipment and it was heavy in comparison and took extreme skill to not scare the fish with the heavy line that he chose. I think it is sad that young people do not embrace the old ways. The old gasso style houses require unique skill in maintaining them. People move to the city taking these skills with them. People die taking the skills to the grave too. So we write about history. We teach young people the skills of old. Some of us hang on to the old ways, others move on. I go fishing to be young again but I am getting old. It is what it is, the passage of time. The old ways being replaced by the new becoming old. I think it’s great that some people like fishing bamboo, I know I do so much that I have made the rods myself and I share as much as I can about it. I like the new materials, fiberglass, graphite, nylon and fluorocarbon, precision made hooks and modern wading gear. It’s great to bring forward the way things were, to respect our elder ways and also to raise our children to explore their own path. That rod is something, a mix of modern, old, new. When I joint it and cast a line that Sebata-san made for it, I wonder where he used it? What fish he caught with it? I think I’ll joint it up and try it a little later this year. Go-san and Masayuki-san just went to Arkansas for the Sowbug Roundup. It’s an old community, they love fly fishing. Many of those people started out fishing with bamboo rods similar to the rods Yamano-san makes. It is nice to remember and respect the old ways. I like contemporary tenkara too.